Getting your first office put together can be an exciting experience. Even if you’re just renting the place, you can still let your creativity loose and come up with some interesting designs. It’s important to be prepared for the whole ordeal though, as there are some points that you might not pay attention to at first. Some of those concern the comfort of your employees (and yourself! ), while others are more about keeping the company safe. Don’t forget to cover those points when starting out! Not every employer pays attention to proper ergonomics, and if you do, your employees are going to be thankful for it. 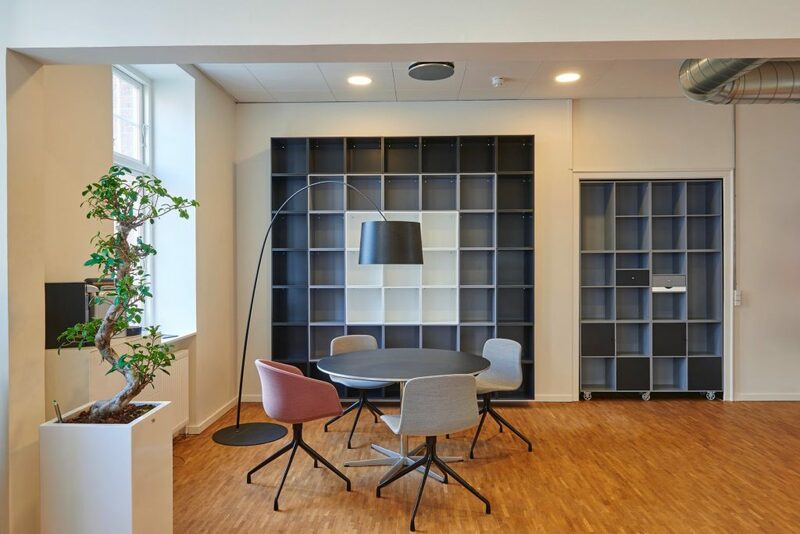 There are many aspects to a properly configured office, and the difference, in the long run, can be huge. People will be healthier, more productive and energetic, and they will be more inclined to come in every day. Some offices still force their workers to spend hours on stiff wooden chairs, working with clunky keyboards and bright monitors that burn their eyes. Going out of your way in this regard can make a huge difference. Never put off this aspect for later! Your office should ideally be built with security in mind from the get-go. There are some important points to consider here, such as an alarm system, a set of cameras, and physical security for any computers you might have on site. JSB Surveillance commercial security camera systems are a good place to start if you want to invest in something that can be set up fast and easy. The market also offers various solutions for keeping computers, phones, and other similar devices safe when nobody is around. Last but not least, you should never forget to install a few features that will make the lives of your employees more pleasant. A coffee machine, a lounge for relaxation during break times, or even a ping-pong table – the possibilities are endless. Some companies spend a lot of time and effort into this, trying to entice their employees to stay longer. You don’t have to go that far though; in fact, recent studies indicate that you probably shouldn’t. As long as you’ve covered the basics, that should be enough to keep people happy. You shouldn’t create an environment that practically locks them inside the office though. It’s easy to ignore some of the important details when setting things up for the first time. If your company grows large enough, you’ll start doing this more often and it will become a habit to you. But until then, it’s a good idea to go with a list and follow it diligently. Even better if you have a partner that can guide you through the process and tell you what steps to avoid. Sometimes, guidance can come from your employees too. Don’t ignore what they might have to say about the way things are currently set up at your office. You should ideally have a system which allows everyone to share their current opinions.